As everyone knows, when you marry a person, you also marry their family. BH’s family is of Italian (and a small part Portuguese) descent, and more than a little bit crazy. And I say crazy in the American sense—wacky, funny, different, interesting—not the Brazilian sense which I have learned is quite a bit more serious and can in fact insult the person you have lightly called “crazy”. My MIL does not consider “crazy” an insult: she knows and embraces being “Everyday Crazy”—not psycho, not certifiable but just crazy. This blog does not have enough space to contain the wackiness is the entire Brazilian clan. But let me tell you that the vast majority of crazy-wonderful comes from my Brazilian mother-in-law or BMIL. In all seriousness, there should be a book written about her. In brief, she is the daughter of a small town doctor (the small town is important only to the history of how animals are part of life here. He often received farmyard animals like pigs as payment). She went on to study biology and then to teach it at one of the best universities in Brazil. Until “retiring” a few years ago, she taught aspiring teachers how to teach biology. And I say “retiring” because she has officially retired but works as hard or harder than she ever did. She loves what she does and that is to be envied. Or feared. One of the first weekends I spent at their small farm outside of Ribeirão Preto, she found and grabbed a large fuzzy spider and held it up in front of me to tell me about it. I have few fears in life: spiders figure large in one of them. Since BH and I were not married yet, I had to hold my ground and pretend I was not screaming inside. She has saved armadillos from the soup pot of the ranch manager by trading equal weight of meat for the little armored beast. When she brought the armadillo back home for a night until having time to release it in the campus park, it escaped and she called the firemen to get it out. She pretended that she had no idea what kind of animal was digging up her yard so they did it for free and all the time thinking they were saving some helpless lady from a big scary beast. Ha. 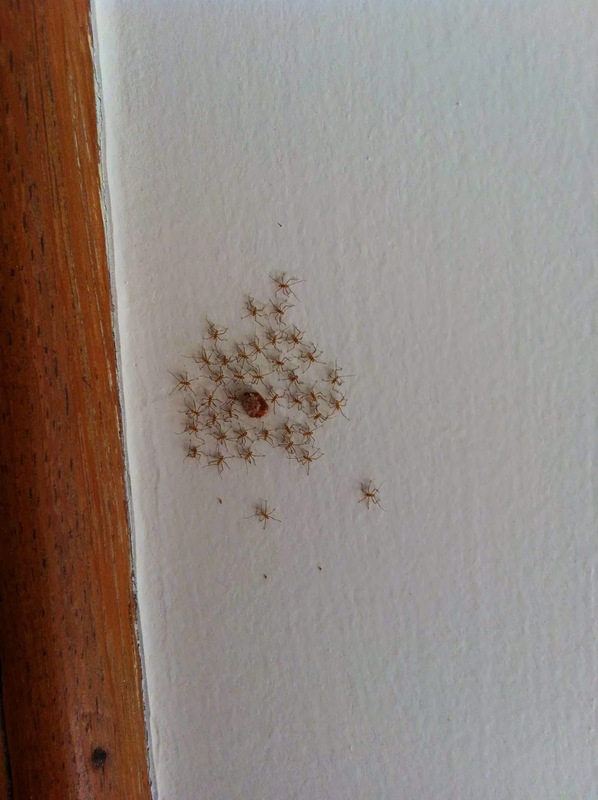 After the kids were born, she became one of their sources for all things creepy crawly. They catch grasshoppers, spiders, beetles, whatever, and show her and she tells them about what they eat or how they kill other mini-beasts or whatever. She once grabbed an ant and put in on a twin’s finger to show something and that ant had a bite like a shark. It literally tore a piece off the kid’s finger, and after the crying was done, she explained its defense mode. BMIL has caught armadeira spiders, one of Brazil’s most venomous, and kept them in a pot until the kids come for the weekend and shows them. 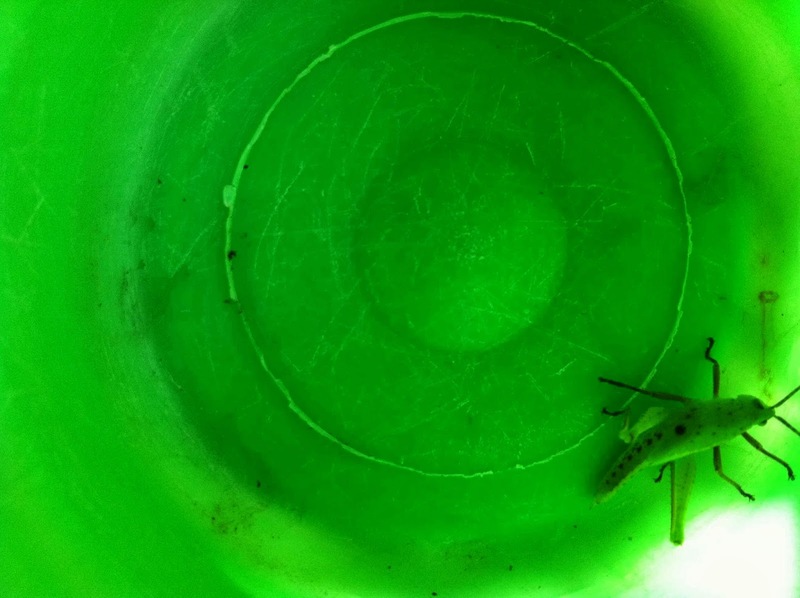 One day she had a pot full of small live scorpions that she proceeded to demonstrate to the kids—look, the tail has a stinger, these are killers, etc. When she wandered off for a minute, I told the kids that the only thing they needed to know was RUN! If you see a scorpion, RUN! The same for the coral snake she showed them last year—yes, it’s cool, it’s beautiful, now RUN! 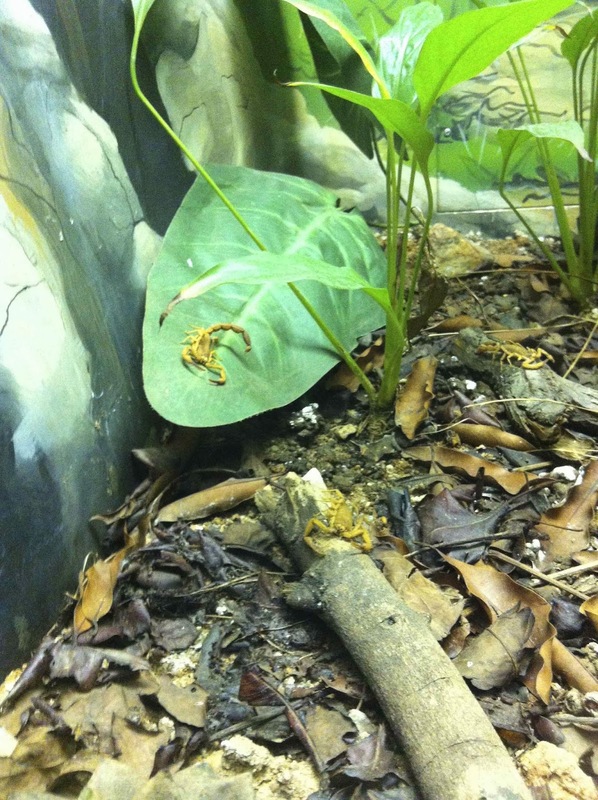 Why do they love Instituto Butantan, the spider and snake and scorpion museum? Because of their grandma. Scorpion at Butantan. Because now they like them. This weekend however, Everyday Crazy took out a new chapter. 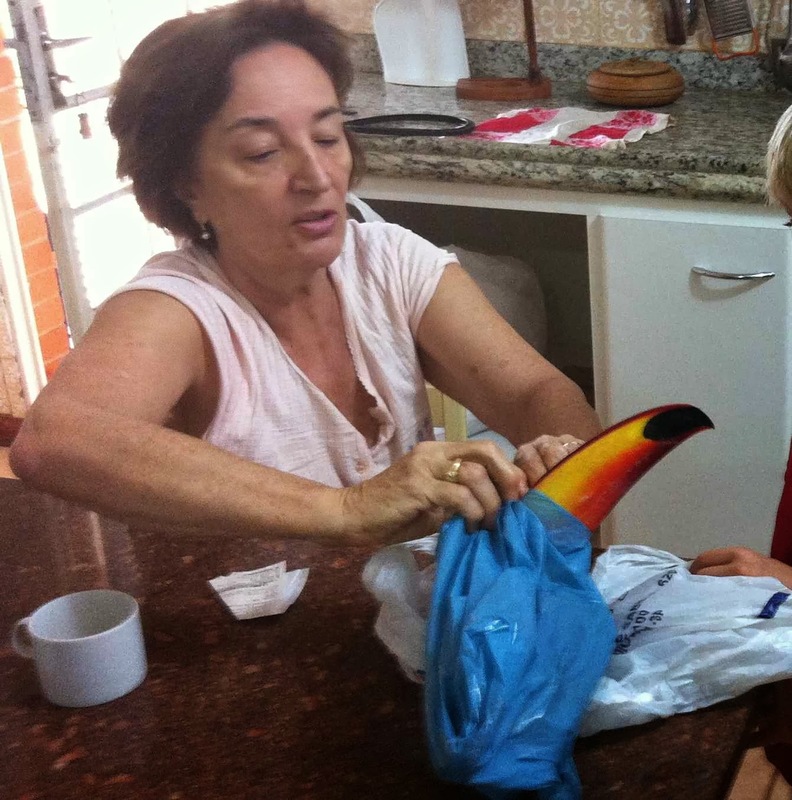 Sitting at the breakfast table, she says to the kids….”okay, who wants to see the frozen toucan?” And I think, hmmm, that’s a new dessert. 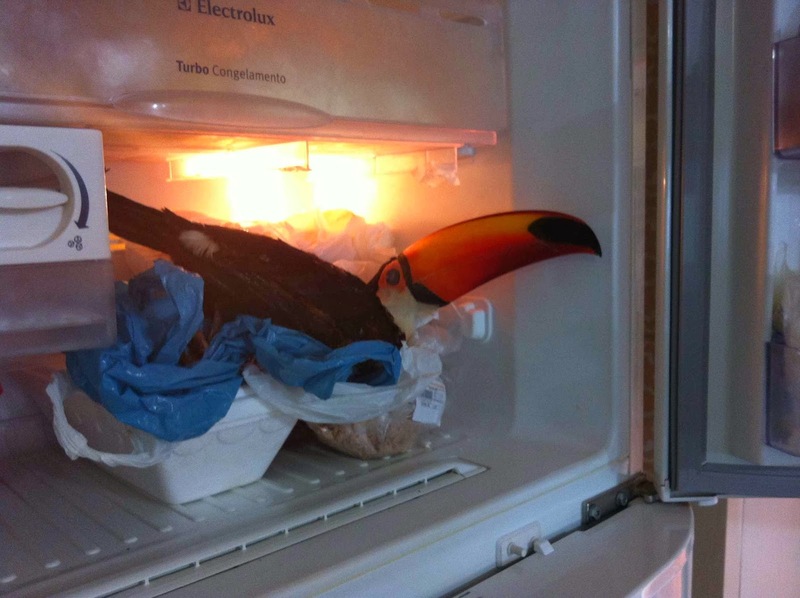 But no, she really means a frozen toucan. 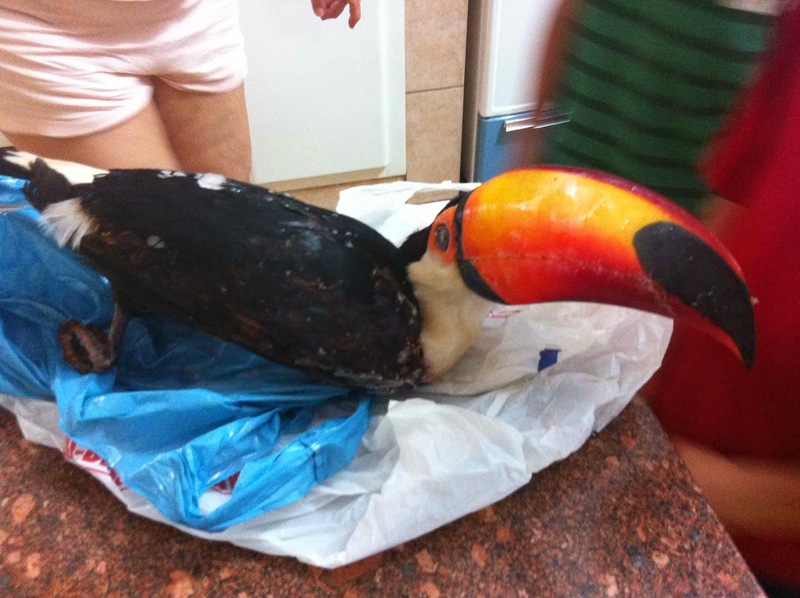 Apparently a toucan had been electrocuted on one of the farm’s electric wires, and my MIL had scooped it up, wrapped it up in plastic bags and stuck it in the freezer so she could show it to the twins the following week. I admit that the frozen toucan was amazing. The colors of its beak had not dulled in the freezer—the beak stuck out of the bag and it almost looked fake. Further unwrapping showed black feathers still shiny with life…and frost. And there it was, for my children’s delight: a frozen perfect toucan. Any bird museum would have been happy to have the specimen. 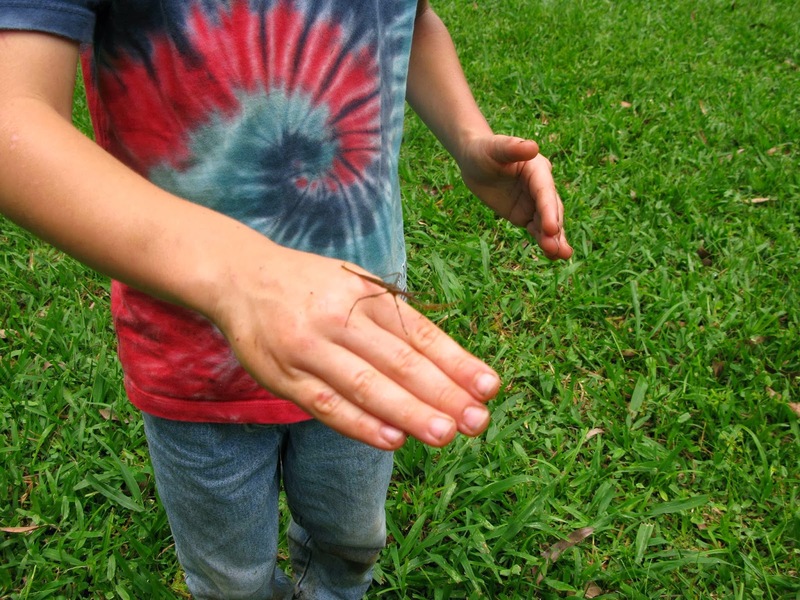 I give a lot of the credit about the curiosity and interest of my kids in animals and insects to my BMIL. She has taught them to love nature, even the bad guys of nature. She does not scream and shudder when the black fuzzy spider comes near (okay, I no longer scream and have once even saved a spider from a watery death, but the shudders are involuntary). She lets a line of sugar ants crawl up the wall in the kitchen, pretending not to see when BFIL kills them with his palm when she turns her back. The term Everyday Crazy is a compliment. Somewhat synonymous with a toucan in the freezer. The toucan... I just.... but... no words!!! I´m not sure whether I´m horrified or amazed that she would do that!!! hahahahaha. Well she sounds super interesting. And I did not know the significance of calling someone crazy here in Brazil. I had better watch it. Yes, I discovered that after calling the capoeira master crazy for charging a bunch of money for the baptism. He got really upset!